Dental floss: Tie up your bird or bundle with dental floss. It'll hold things together just as securely as the twine. Stick to plain, unwaxed floss, so you don't flavor your food with mint or risk having wax ignite in the oven. Consider tucking a roll of floss in one of your kitchen drawers; it also cuts soft cheeses, like goat cheese, better than a knife. Aluminum foil: Roll up some aluminum foil into tight ropes. Then, secure them around your food like bands. It works best for stuffed meats that you're trying to keep from unrolling. It probably won't be strong enough to truss a turkey or chicken. Toothpicks or wooden skewers: Poke toothpicks or wooden skewers into your meat to keep the seam from unraveling. Soak them in water first (just like you do when you grill), so they won't catch fire in the oven. If you decide to use toothpicks, it's smart to count how many you used, so you know how many you need to pull out after cooking. Nothing at all: If you don't have any of these things, consider going without. 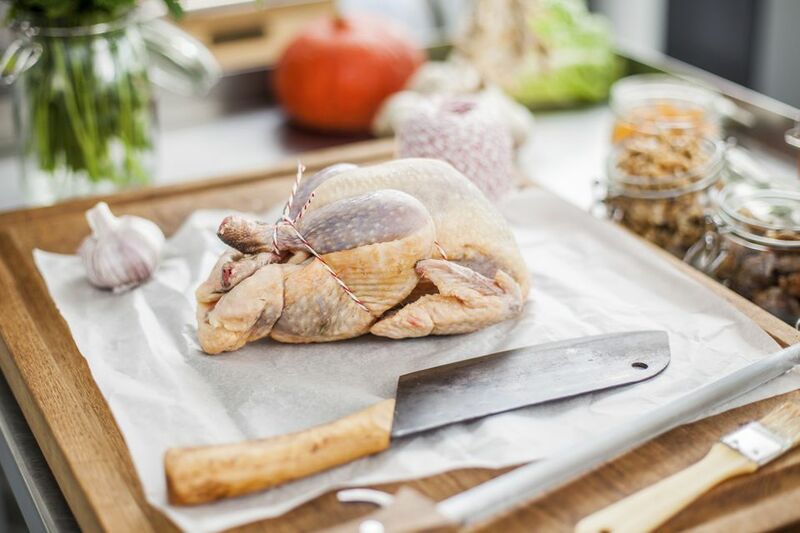 Leave your turkey untrussed, and just wrap the wing tips in aluminum foil to keep them from burning. Place your loin on the cookie sheet seam side down, so that the weight of the meat holds it together. And if you're looking for a way to secure a bundle of herbs, just tie a knot in some cheesecloth. Some people suggest using rubber bands, embroidery floss, crochet thread or sewing thread as a stand-in for kitchen twine. The rubber bands are an outright bad idea, and you should use the other suggestions with caution. Thread and embroidery floss are flammable and could ignite in your oven. However, this is also true of kitchen twine. If you decide to use any of these, consider soaking the thread/floss first, so it'll be less likely to catch fire and be sure to adjust your oven rack so that your twine substitute won't come unnecessarily close to the heating element. Only you can decide what's right for you, but you should proceed with caution if you decide to use any of these. Do not leave your oven unattended, and keep an extinguisher handy at all times.